We’re coming up on one of my favorite entries in the Marvel Cinematic Universe, Captain America: Civil War. Before we get there, there is a pitstop. 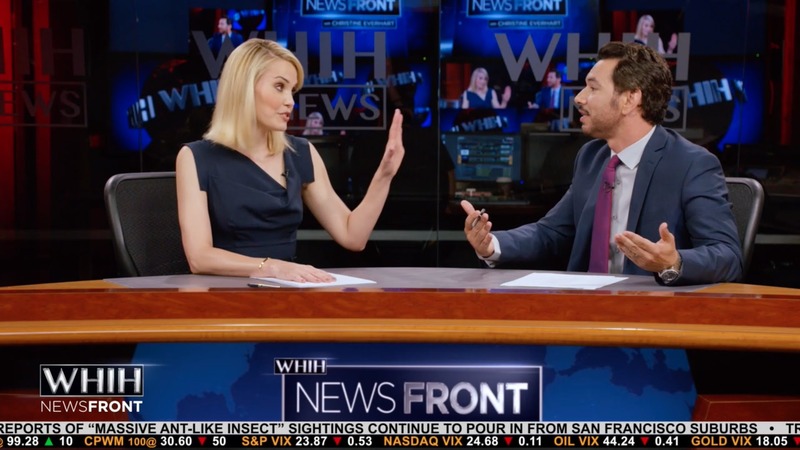 It’s another season of WHIH Newsfront! 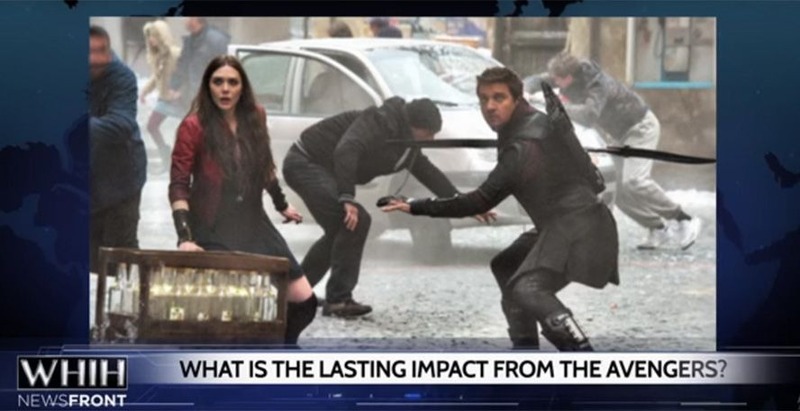 For those who don’t remember, the first season came just before Ant-Man and was a series of short videos, disguised as an in-universe news channel, that previewed the movie. The same goes for the second season. Once again, it was hosted by Christine Everhart (Leslie Bibb). Before this YouTube series, she played the same character in both Iron Man and Iron Man 2. The idea of these episodes is to spark a debate. Christine feels that there should be accountability for the Avengers and other heroes. Her co-host feels differently. Not only is that the debate here, but it is the driving force of the upcoming movie. I liked how one episode focused on the idea of paying taxes on this stuff. Should the heroes who saved everyone’s lives be forced to pay for the damages? Or should the innocent people affected by it be okay handling the cleanup and such? It was cool to see the perspectives of various citizens. You can see where both sides are coming from and that’s exactly how it needs to be when setting up Captain America: Civil War. Another episode is completely an interview with the President of the United States, Matthew Ellis (William Sandler). He previously appeared in Iron Man 3, Agents of S.H.I.E.L.D. and Captain America: The Winter Soldier. He spoke about a meeting with General Ross (William Hurt), who hadn’t been seen in this universe since way back in The Incredible Hulk. He had retired but was now appointed as the Secretary of State. Again, this sets up his appearance in the next movie. The last episode turns from something of a playful yet serious debate into a more important discussion. 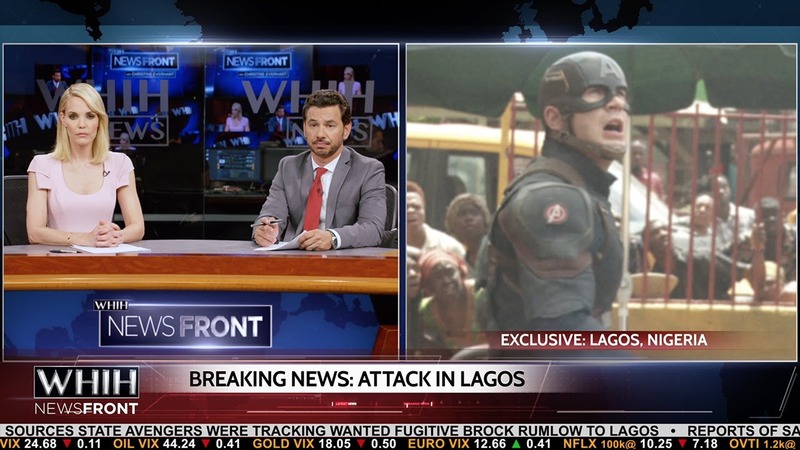 It is breaking news that Captain America, Sam Wilson, Natasha Romanoff, and others were involved in an attack in Lagos, Nigeria. Those have seen the film knows that this is the scene that opens Captain America: Civil War and is kind of the straw that breaks the camel’s back in terms of the Sokovia Accords. Last up, I want to point out the MCU connections because for just being a few short episodes, there are a ton. 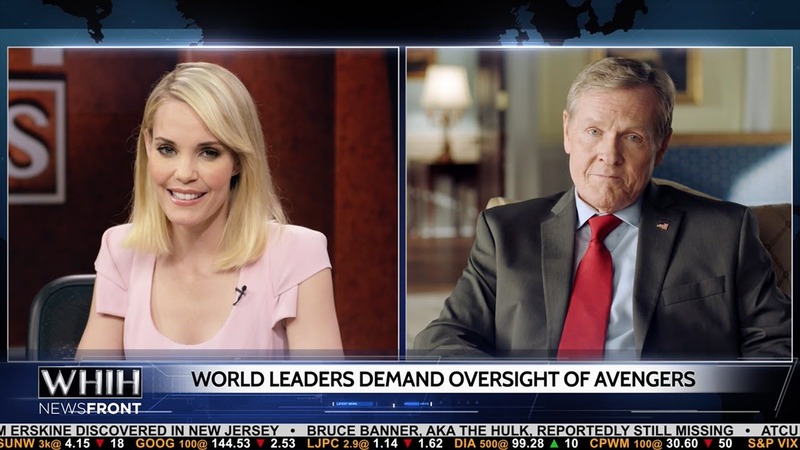 We get footage from Captain America: The Winter Soldier, as we see Natasha talking to Congress from different angles and hear about the fallout. The real highlight was paying attention to the ticker at the bottom of the screen. There’s so much good stuff here. They include a note about Dr. Stephen Strange, who will be the star of Doctor Strange. There’s reports about a giant ant like being in San Francisco and talk about Vistacorp, which are both references to Ant-Man. I loved how there’s news about a TV movie on the life of Trevor Slattery and the Mandarin from Iron Man 3. I got a kick out of a mention of a charity song titled, “Sing for Sokovia,” a reference to Avengers: Age of Ultron. The most obscure connection was probably mentioning the work of Abraham Erksine, the doctor who helped Steve Rogers get the super soldier serum in Captain America: The First Avenger. Lastly, there was a note about a mural going up of the Avengers at a shawarma joint in New York. Obviously, that’s from the post-credits scene in The Avengers. All in all, there wasn’t much to this. I really liked how it built to Captain America: Civil War and how many cool little connections it had to the MCU. It was also short, which made it easy to watch.